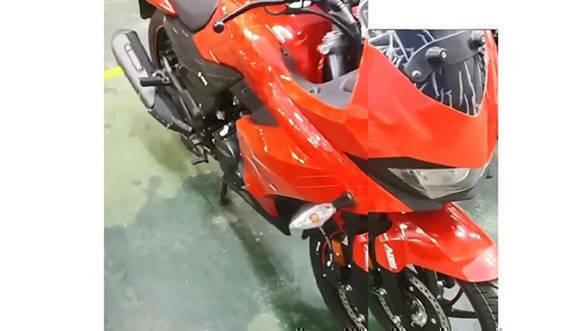 A video surfacing the internet gave a glimpse of a red coloured fully faired motorcycle which could be the third generation Hero Karizma. 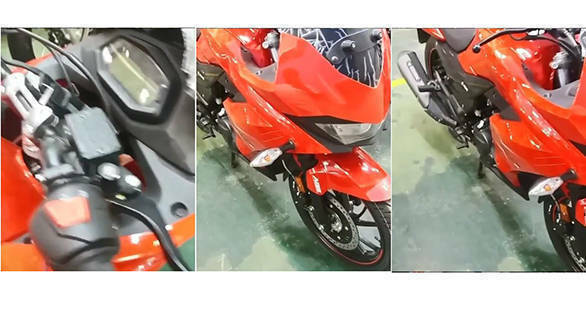 The video shows the chunky fairing and the fuel tank dressed in red and some features of the motorcycle. The concept, HX250R, a fully faired motorcycle was showcased at the 2014 Delhi Auto Expo. It seems like the concept that was shown in the past has made it to production guise and the fully faired motorcycle could go on sale by the festive season. The headlamp appears to be a halogen unit and the bike sports a blacked out visor up front. The front fender has an ABS (antilock braking system) sticker which implies that ABS will be a standard feature when the bike goes on sale. The instrument cluster is an all-digital unit and could give a backlit readout. 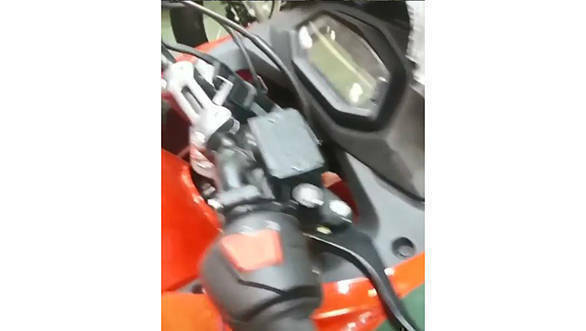 The upcoming motorcycle could share its platform with the Hero Xtreme 200R along with the powertrain. The Xtreme 200R gets a 199.6cc engine that produces 18.4PS at 8,000rpm and 17.1Nm of torque at 6,500rpm. The engine comes mated to a five-speed gearbox and we believe that the upcoming faired motorcycle could have the same. The new Hero Karizma could be priced around the Rs 1.20 lakh mark and will rival the Bajaj Pulsar 220F and the Yamaha FZ-25.